The mosaic tiles of the Shalin series are suitable as kitchen tiles and can be laid on the kitchen floor. 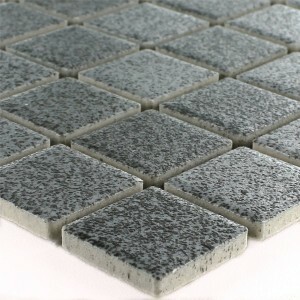 The tiles are available in shades of gray and stone gray. The interested customer has the choice between two square sizes and can combine the color nuances at will. You can choose between square 25 tiles and square 48 tiles. 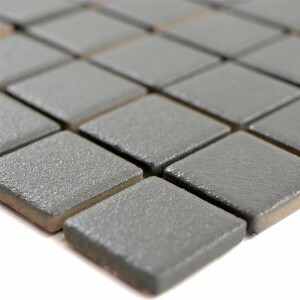 Square 25 kitchen tiles have a stone size of 25 x 25 mm and have a mat measure of 32.6 x 30 cm. 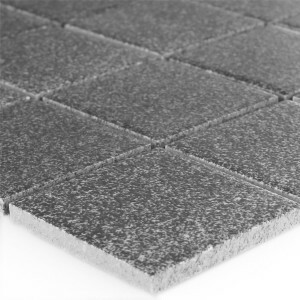 Square 25 tiles for the kitchen floor have a thickness of 5.2 mm. 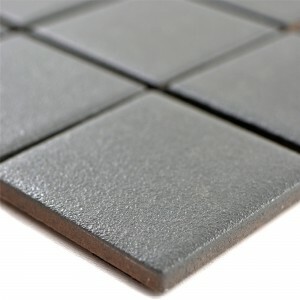 Square 48 tiles have a stone size of 48 x 48 mm and a mat size of 29.8 x 29.8 cm. The tiles have a thickness of 6 mm. 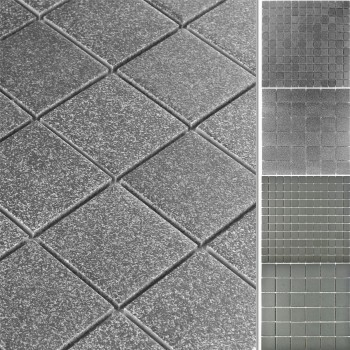 The mosaic tiles of the series Shalin belong to the abrasion class 4 and are non-slip. If you want to lay mosaic tiles, you should consult a specialist. Professional tilers can lay mosaic tiles in the desired pattern. With mosaic tiles as kitchen tiles, the kitchen floor becomes an eye-catcher. The prices are given in the online shop per tile mat. Delivery time and delivery time can be taken from the online shop. Detailed technical information about the mosaic tiles of the series Shalin can be found in the online shop as well as in the data sheet. If you need a large purchase quantity, you can ask for further information on availability and delivery time at the customer hotline. The staff of the customer hotline are available to interested customers.